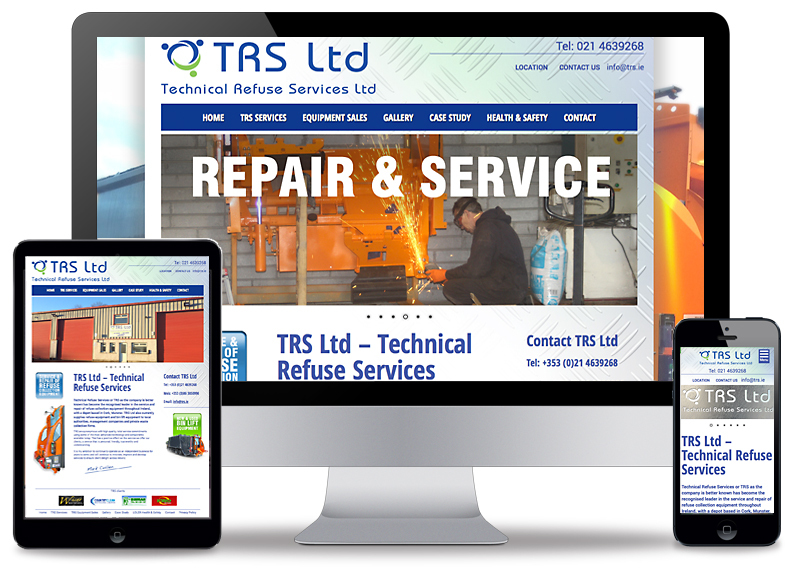 TRS (Technical Refuse Services) are the recognised leader in the service and repair of refuse collection equipment throughout Ireland, with a large depot based in Midleton, Cork. I did it all here. I spent a few hours in the depot taking photographs which appear in the website design. This responsive website is built within the massively popular WordPress content management platform. WordPress allows for easy content updates through a password protected backend admin panel. The responsive design means it is optimised for the mobile platform whether iPad, tablet or mobile phone. Apart from the general gallery there is a nice case study gallery that shows a 'piece of work in progress' from start to finish. An effective transformation. The end result? A very happy client.